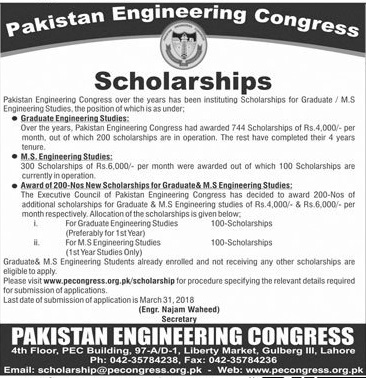 HEC announce the scholarships studies in US universities by applying through it. Here get the complete criteria of HEC Overseas Scholarships for Phd 2019 and Apply online through this page. The HEC manage the scholarship studies for all students who have to complete their Ph.D studies from US to make their future secure and brighter. Now HEC announce the seats for 2019 academic session of study in US universities. The candidates have to apply from the HEC not direct to the US universities for this purpose. The academic session will start in September 2018 but the candidates have to apply before the 31 December 2018 for this scholarship. HEC is known as Higher Education Commission of Pakistan. It is an independent institute who manage the studies of all higher education institutes of Pakistan and also all the universities are working under it. The HEC introduce the scholarships study from US universities in 2002 for Pakistani candidates from the partnership with US Education System. Now its working more and more on this project by which Pakistani had a great and brighter future by it. Candidate should be Pakistani or AJK national. Candidate who have 4 years Bachelors Degree are eligible for direct admission in PhD programmes at US Universities. Age limit of candidate is 40 years for regular faculty and researches of public sector Universities while for all others 35 years age limit. The last date for submission of application form is 31st December. Only online application will be acceptable by HEC, after the last date and by handed application will be rejected. Here all candidates can get their online application form and all information about this scholarship. So just stay in touch with us for more updates and information about your search for this scholarship and apply as soon as possible for your successful future.